Our climate is changing, with some regions experiencing extreme drought while others have to cope with large amounts of water. The Cortile cover system is designed for wide water drainage gutters with a high drainage capacity. 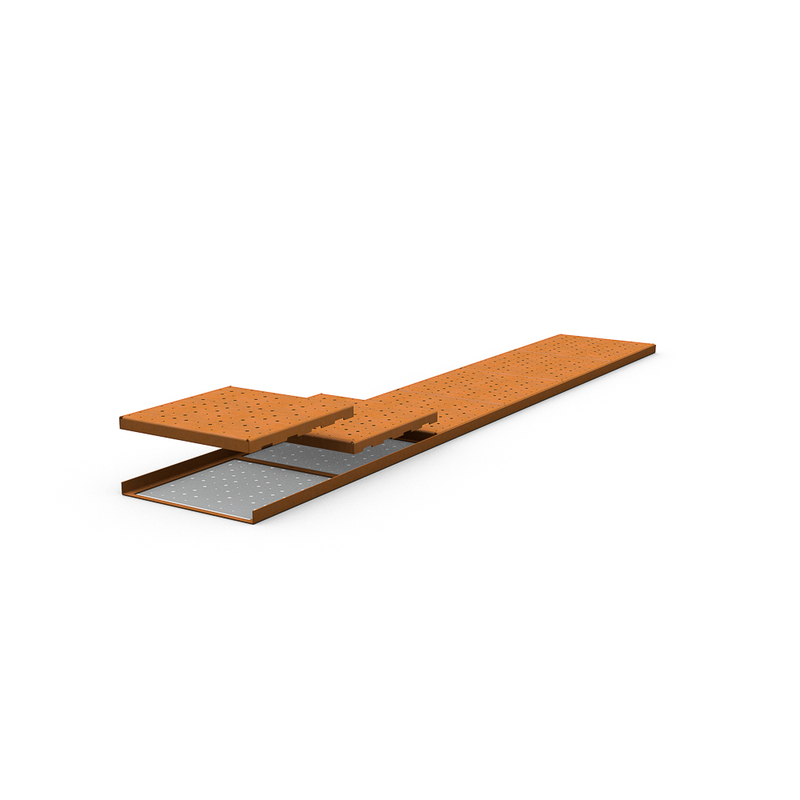 The patterned CorTen sheets are installed in a 4 cm-high mounting frame on the gutter. The Cortile is available in two different widths. 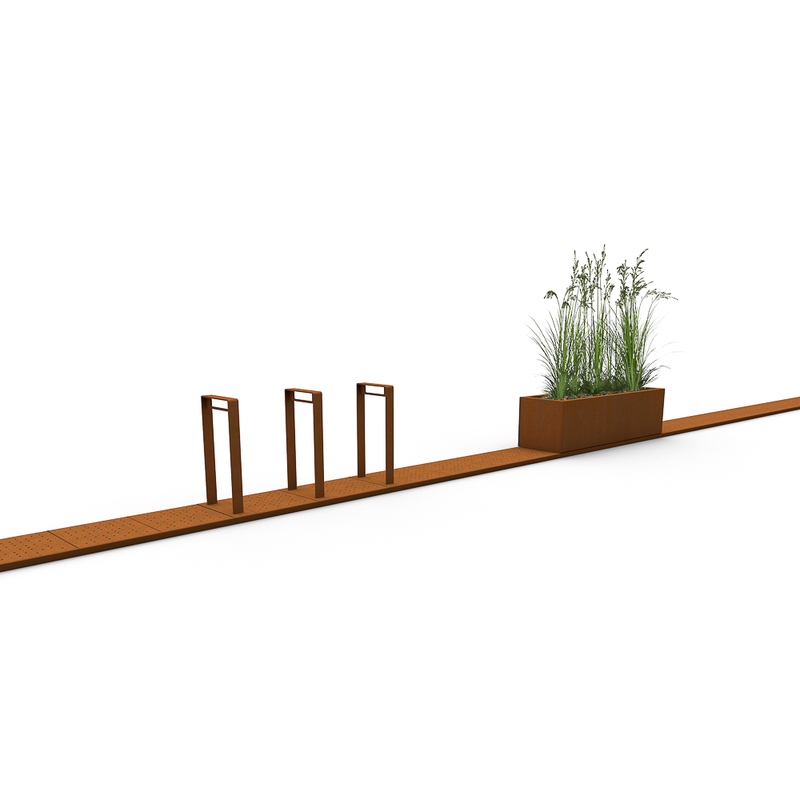 The Cortile system combines well with simple CorTen street furniture such as CorTen Bicycle Racks or Grille Benches. 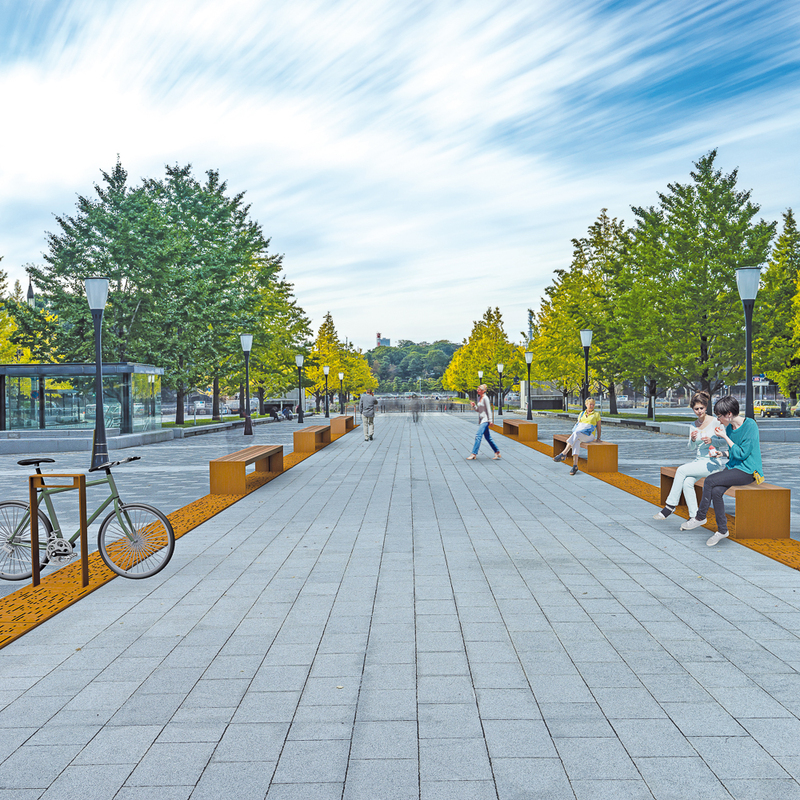 The combination of landscaping elements with a smart drainage and paving pattern creates a beautiful layout. 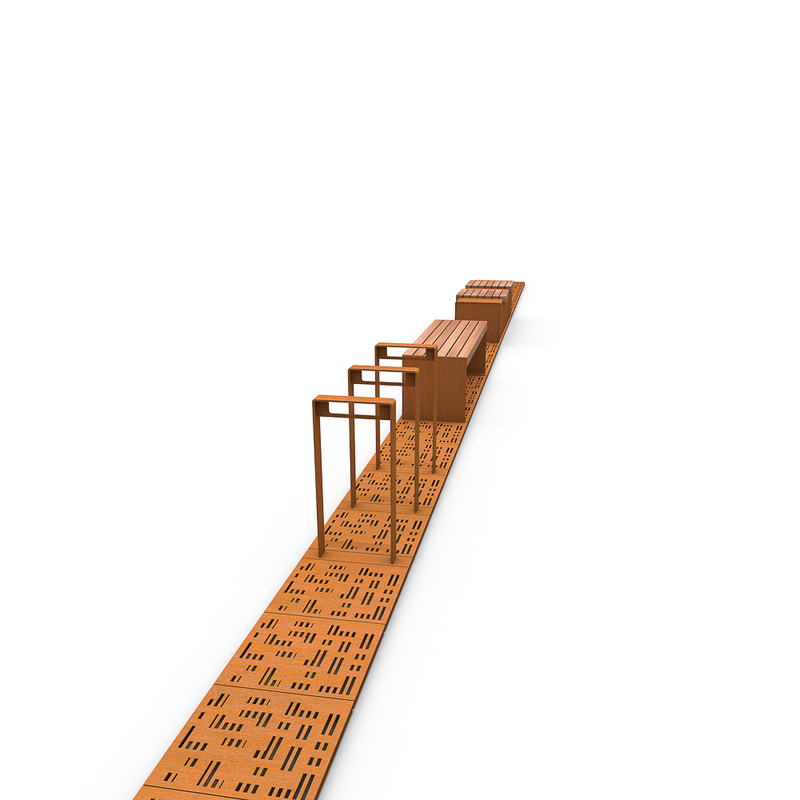 The standard length is ca.100 cm | 39"
Available in widths of ca.15 or 50 cm | 6" or 59"